Granting your premise that both swordsmen are masters of their respective weapon sets - which is a very big if - then yes, there is much to be said for wielding matched swords. I assume we're talking about an unarmored fight here. If body armor is involved the answer flips, as I'll discuss at the end. As a general rule, fighting without each hand on a weapon (whether your off hand is on also holding your primary weapon, a shield of some sort, an empty pistol, a dagger, another sword, even your own cloak) is a bad idea. It was done in duels as a show of bravado or by necessity, but if you're really serious about killing someone, both of your hands should be on a weapon. So I'm not going to bother discussing dual-wielding vs. an unaccompanied one-handed sword. This will be about dual-wielding vs. a two-handed sword. I'm also going to restrict this answer to sidearms (i.e., swords small enough and light enough to be worn). In almost any hypothetical question about swords, letting primary weapons - think of a German zweihander or a Japanese nodachi - into the arena breaks the question. For a one-on-one fight, greatswords of this type are almost always better than any possible combination of sidearm swords (there's a reason that they were primary weapons). So the two-handed swordsman is going to be wielding a longsword (overall length ~50"), not a greatsword. 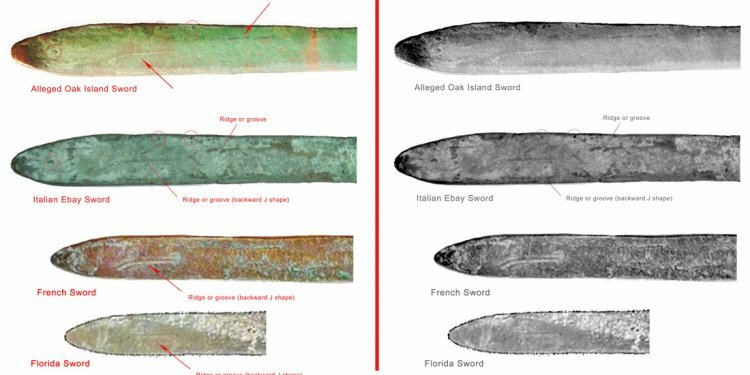 As a matter of history, we can observe that many Italian masters of the Renaissance advocated the use of matched swords when permitted. It often WASN'T permitted, at least in a formal duel, because the challenged swordsman usually got to pick the weapons - and if you challenge someone who is good enough to pick matched swords, you challenged the wrong guy. For street fighting, though (and informal duels or the rare formal duel where it happened), matched swords was a highly praised weapons combination. The answer why is easy to see if you consider the problem of attacking a fencer armed with a sword and shorter companion arm from the perspective of a fencer wielding a single two-handed sword (i.e., a longsword of some sort). The shorter companion arm is an inherent weakness in the other fencer's defense. Suppose that companion arm is a buckler, the traditional European companion arm of the single-handed sword for many centuries. The buckler can be dangerous at close range (it turns the off hand into a steel fist, and may be spiked as well), but only at close range. By focusing on the opponent's buckler side, the longsword fencer both stays away from the reach of the opponent's sword and can eventually overcome the shield's defense. The same is true if the companion arm is a dagger, or a half-length sword. Alternatively, the longsword fencer can use his superior leverage to neutralize the opponent's sword, safe in the knowledge that the companion arm is too short-ranged to reach him. Our hypothetical fencer armed with two equal swords does not have a weak side. Most real-life fencers do, because most fencers are not equally adept with their left and right hands, but our hypothetical assumes we have found the rare person who has truly mastered both hands. Now, the longswordsman is tasked with neutralizing two swords with his single sword. This is no easy task. Working around to the weak side is a considerably less effective strategy, because no matter which side the longsword fencer concentrates on, he needs to contend with a full-length weapon, AND the opponent has another full-length weapon with which to harry him as well. Now, if there is a significant level of body armor involved, that's another story. No sword is good at defeating body armor, but one-handed swords have a much harder time of it than two-handed swords. Here, the longsword has two significant advantages. The first is that it can be held with the second hand near the tip of the sword, effectively stiffening the point of the sword so it can penetrate mail links or thick layers of padding more easily. The dual-wielder can't do that without dropping a sword. The second advantage that the longsword has is that it can be held like a small staff and used to help wrestle the opponent to the ground, so the point can be stuck into a vulnerable point that would otherwise be hard to reach (such as into the base of the skull up and under the helmet). The dual-wielder can't do that without dropping a sword, and even if he does, his sword will almost certainly be a less effective lever because it will have a thinner blade.